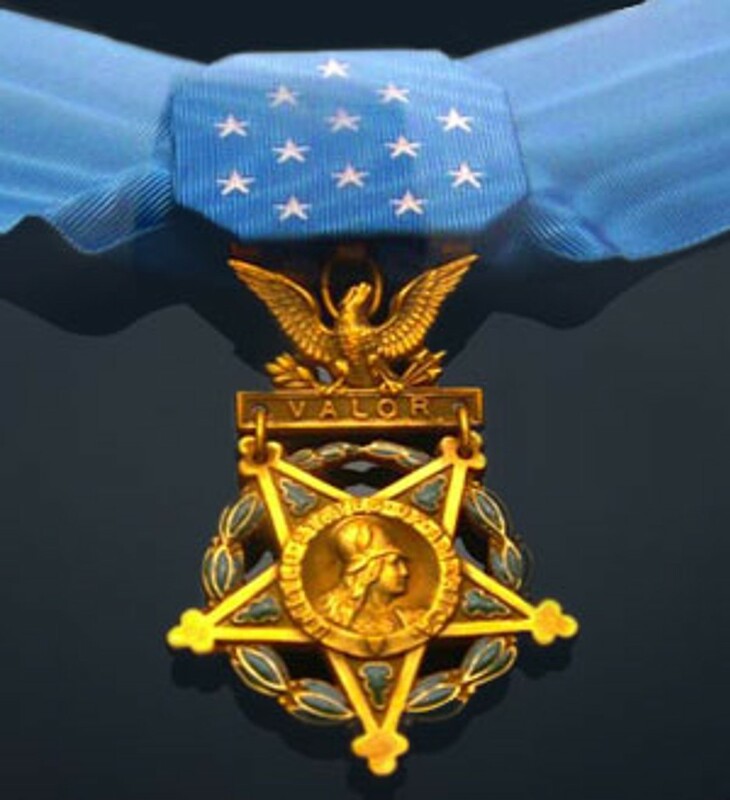 The Congressional Medal of Honor is the highest Medal awarded to service members for actions above and beyond the call of duty. It is awarded regardless of rank, service nor time in service. The medal is earned. It has to be approved by Congress and is presented by the President of the United States. You can go to www.history.army.mil/html/moh/vietnam-a-l.html to read the citations for all of those awarded the Medal of Honor from all services. I have selected just a few and yes they are all from the 1st Cavalry Division. I am not listing all just a few. The ages of these men vary. Some are very young and gave their lives without hesitation. I am having problems getting this website to come up without the “Oops did you mean” message. If you click on the box you will go to the site and you will see it is the same address. On this site you can view the citations for everyone who has been awarded the Medal of Honor from all wars. Rank and organization: Private First Class, U.S. Army, Company B, 5th Battalion (Airmobile), 7th Cavalry, 1st Cavalry Division. Place and date: Republic of Vietnam, 1 December 1966. Entered service at: Seattle, Wash. Born: 27 April 1946, Venice, Italy. G.O. No. : 12, 3 April 1968. Citation: For conspicuous gallantry and intrepidity in action at the risk of his life and beyond the call of duty. Pfc. Albanese’s platoon, while advancing through densely covered terrain to establish a blocking position, received intense automatic weapons fire from close range. As other members maneuvered to assault the enemy position, Pfc. Albanese was ordered to provide security for the left flank of the platoon. Suddenly, the left flank received fire from enemy located in a well-concealed ditch. Realizing the imminent danger to his comrades from this fire, Pfc. Albanese fixed his bayonet and moved aggressively into the ditch. His action silenced the sniper fire, enabling the platoon to resume movement toward the main enemy position. As the platoon continued to advance, the sound of heavy firing emanated from the left flank from a pitched battle that ensued in the ditch which Pfc. Albanese had entered. The ditch was actually a well-organized complex of enemy defenses designed to bring devastating flanking fire on the forces attacking the main position. Pfc. Albanese, disregarding the danger to himself, advanced 100 meters along the trench and killed 6 of the snipers, who were armed with automatic weapons. Having exhausted his ammunition, Pfc. Albanese was mortally wounded when he engaged and killed 2 more enemy soldiers in fierce hand-to-hand combat. His unparalleled actions saved the lives of many members of his platoon who otherwise would have fallen to the sniper fire from the ditch, and enabled his platoon to successfully advance against an enemy force of overwhelming numerical superiority. Pfc. Albanese’s extraordinary heroism and supreme dedication to his comrades were commensurate with the finest traditions of the military service and remain a tribute to himself, his unit, and the U.S. Army. Rank and organization: Specialist Fifth Class (then Sp4c.) U .S. Army, Headquarters and Headquarters Company, 1st Battalion, 5th Cavalry, 1st Cavalry Division (Airmobile). Place and date: Binh Dinh Province, Republic of Vietnam, 20 March 1967. Entered service at: Lincoln, Nebr. Born: 21 August 1946, Lincoln, Nebr. Citation: For conspicuous gallantry and intrepidity in action at the risk of his life above and beyond the call of duty. While conducting combat operations against a hostile force, Sp5c. Hagemeister’s platoon suddenly came under heavy attack from 3 sides by an enemy force occupying well concealed, fortified positions and supported by machine guns and mortars. Seeing 2 of his comrades seriously wounded in the initial action, Sp5c. Hagemeister unhesitatingly and with total disregard for his safety, raced through the deadly hail of enemy fire to provide them medical aid. Upon learning that the platoon leader and several other soldiers also had been wounded, Sp5c. Hagemeister continued to brave the withering enemy fire and crawled forward to render lifesaving treatment and to offer words of encouragement. Attempting to evacuate the seriously wounded soldiers, Sp5c. Hagemeister was taken under fire at close range by an enemy sniper. Realizing that the lives of his fellow soldiers depended on his actions, Sp5c. Hagemeister seized a rifle from a fallen comrade, killed the sniper, 3 other enemy soldiers who were attempting to encircle his position and silenced an enemy machine gun that covered the area with deadly fire. Unable to remove the wounded to a less exposed location and aware of the enemy’s efforts to isolate his unit, he dashed through the fusillade of fire to secure help from a nearby platoon. Returning with help, he placed men in positions to cover his advance as he moved to evacuate the wounded forward of his location. These efforts successfully completed, he then moved to the other flank and evacuated additional wounded men despite the fact that his every move drew fire from the enemy. Sp5c. Hagemeister’s repeated heroic and selfless actions at the risk of his life saved the lives of many of his comrades and inspired their actions in repelling the enemy assault. Sp5c. Hagemeister’s indomitable courage was in the highest traditions of the U.S. Armed Forces and reflect great credit upon himself. Rank and organization: Sergeant, U.S. Army, Company D, 2d Battalion, 7th Cavalry, 1st Cavalry Division. Place and date: Near Quan Loi, Republic of Vietnam, 3 December, 1968. Entered service at:Corvallis, Oreg. Born: 11 Jun 1946, Baker, Oreg. Citation: For conspicuous gallantry and intrepidity in action at the risk of his life and beyond the call of duty. Sgt Holcomb distinguished himself while serving as a squad leader in Company D during a combat assault mission. Sgt. Holcomb’s company assault had landed by helicopter and deployed into a hasty defensive position to organize for a reconnaissance-in-force mission when it was attacked from 3 sides by an estimated battalion-size enemy force. Sgt. Holcomb’s squad was directly in the path of the main enemy attack. With complete disregard for the heavy fire, Sgt. Holcomb moved among his men giving encouragement and directing fire on the assaulting enemy. When his machine gunner was knocked out, Sgt. Holcomb seized the weapon, ran to a forward edge of the position, and placed withering fire on the enemy. His gallant actions caused the enemy to withdraw. Sgt. Holcomb treated and carried his wounded to a position of safety and reorganized his defensive sector despite a raging grass fire ignited by the incoming enemy mortar and rocket rounds. When the enemy assaulted the position a second time, Sgt. Holcomb again manned the forward machine gun, devastating the enemy attack and forcing the enemy to again break contact and withdraw. During the enemy withdrawal an enemy rocket hit Sgt. Holcomb’s position, destroying his machine gun and severely wounding him. Despite his painful wounds, Sgt. Holcomb crawled through the grass fire and exploding mortar and rocket rounds to move the members of his squad, every one of whom had been wounded, to more secure positions. Although grievously wounded and sustained solely by his indomitable will and courage, Sgt. Holcomb as the last surviving leader of his platoon organized his men to repel the enemy, crawled to the platoon radio and reported the third enemy assault on his position. His report brought friendly supporting fires on the charging enemy and broke the enemy attack. Sgt. Holcomb’s inspiring leadership, fighting spirit, in action at the cost of his life were in keeping with the highest traditions of the military service and reflect great credit on himself, his unit, and the U.S. Army. Rank and organization: Specialist Fifth Class, U.S. Army, Company B, 1st Battalion, 5th Cavalry, 1st Cavalry Division (Airmobile). place and date: Binh Dinh province, Republic of Vietnam, 21 June 1967. Entered service at: Denver, Colo. Born: 22 November 1944, Leadville, Colo. Citation: For conspicuous gallantry and intrepidity in action at the risk of his life above and beyond the call of duty. Serving as a medical aidman with Company B, Sp5c. McWethy accompanied his platoon to the site of a downed helicopter. Shortly after the platoon established a defensive perimeter around the aircraft, a large enemy force attacked the position from 3 sides with a heavy volume of automatic weapons fire and grenades. The platoon leader and his radio operator were wounded almost immediately, and Sp5c. McWethy rushed across the fire-swept area to their assistance. Although he could not help the mortally wounded radio operator, Sp5c. McWethy’s timely first aid enabled the platoon leader to retain command during this critical period. Hearing a call for aid, Sp5c. McWethy started across the open toward the injured men, but was wounded in the head and knocked to the ground. He regained his feet and continued on but was hit again, this time in the leg. Struggling onward despite his wounds, he gained the side of his comrades and treated their injuries. Observing another fallen rifleman Lying in an exposed position raked by enemy fire, Sp5c. McWethy moved toward him without hesitation. Although the enemy fire wounded him a third time, Sp5c. McWethy reached his fallen companion. Though weakened and in extreme pain, Sp5c. McWethy gave the wounded man artificial respiration but suffered a fourth and fatal wound. Through his indomitable courage, complete disregard for his safety, and demonstrated concern for his fellow soldiers, Sp5c. McWethy inspired the members of his platoon and contributed in great measure to their successful defense of the position and the ultimate rout of the enemy force. Sp5c. McWethy’s profound sense of duty, bravery, and his willingness to accept extraordinary risks in order to help the men of his unit are characteristic of the highest traditions of the military service and reflect great credit upon himself and the U.S. Army. Rank and organization: First Lieutenant, U.S. Army, Troop B, 1st Squadron, 9th Cavalry, 1st Cavalry Division. Place and date: Tay Ninh Province, Republic of Vietnam, 2 June 1969. Entered service at: Detroit, Mich. Born: 3 January 1947, Detroit, Mich. Citation: For conspicuous gallantry and intrepidity in action at the risk of his life above and beyond the call of duty. 1st Lt. Poxon, Armor, Troop B, distinguished himself while serving as a platoon leader on a reconnaissance mission. Landing by helicopter in an area suspected of being occupied by the enemy, the platoon came under intense fire from enemy soldiers in concealed positions and fortifications around the landing zone. A soldier fell, hit by the first burst of fire. 1st Lt. Poxon dashed to his aid, drawing the majority of the enemy fire as he crossed 20 meters of open ground. The fallen soldier was beyond help and 1st Lt. Poxon was seriously and painfully wounded. 1st Lt. Poxon, with indomitable courage, refused medical aid and evacuation and turned his attention to seizing the initiative from the enemy. With sure instinct he marked a central enemy bunker as the key to success. Quickly instructing his men to concentrate their fire on the bunker, and in spite of his wound, 1st Lt. Poxon crawled toward the bunker, readied a hand grenade and charged. He was hit again but continued his assault. After succeeding in silencing the enemy guns in the bunker he was struck once again by enemy fire and fell, mortally wounded. 1st Lt. Poxon’s comrades followed their leader, pressed the attack and drove the enemy from their positions. 1st Lt. Poxon’s gallantry, indomitable will, and courage are in keeping with the highest traditions of the military service and reflect great credit upon himself, his unit, and the U.S. Army. Rank and organization: Sergeant, U.S. Army, Troop D, 1st Squadron, 9th Cavalry, 1st Cavalry Division. Place and date: Near Song Be, Republic of Vietnam, 14 September 1969. Entered service at: Bangor, Maine. Born: 13 October 1948, Caribou, Maine. Citation: For conspicuous gallantry and intrepidity in action at the risk of his life above and beyond the call of duty. Sgt. Skidgel distinguished himself while serving as a reconnaissance section leader in Troop D. On a road near Song Be in Binh Long Province, Sgt. Skidgel and his section with other elements of his troop were acting as a convoy security and screening force when contact occurred with an estimated enemy battalion concealed in tall grass and in bunkers bordering the road. Sgt.Skidgel maneuvered off the road and began placing effective machinegun fire on the enemy automatic weapons and rocket-propelled grenade positions. After silencing at least 1 position, he ran with his machinegun across 60 meters of bullet-swept ground to another location from which he continued to rake the enemy positions. Running low on ammunition, he returned to his vehicle over the same terrain. Moments later he was alerted that the command element was receiving intense automatic weapons, rocket-propelled grenade and mortar fire. Although he knew the road was saturated with enemy fire, Sgt. Skidgel calmly mounted his vehicle and with his driver advanced toward the command group in an effort to draw the enemy fire onto himself. Despite the hostile fire concentrated on him, he succeeded in silencing several enemy positions with his machinegun. Moments later Sgt. Skidgel was knocked down onto the rear fender by the explosion of an enemy rocket-propelled grenade. Ignoring his extremely painful wounds, he staggered back to his feet and placed effective fire on several other enemy positions until he was mortally wounded by hostile small arms fire. His selfless actions enabled the command group to withdraw to a better position without casualties and inspired the rest of his fellow soldiers to gain fire superiority and defeat the enemy. Sgt. Skidgel’s gallantry at the cost of his life were in keeping with the highest traditions of the military service and reflect great credit upon himself, his unit, and the U.S. Army. Rank and organization: Captain (then 1st Lt.), U.S. Army, Company D, 5th Battalion, 7th Cavalry , 1st Cavalry Division (Airmobile). Place and date: Republic of Vietnam, 25 April 1968. Entered service at: Montgomery, Ala. Born: 24 April 1947, LaGrange, Ga. Citation: For conspicuous gallantry and intrepidity in action at the risk of his life above and beyond the call of duty. Capt. Sprayberry, Armor, U.S. Army, distinguished himself by exceptional bravery while serving as executive officer of Company D. His company commander and a great number of the men were wounded and separated from the main body of the company. A daylight attempt to rescue them was driven back by the well entrenched enemy’s heavy fire. Capt. Sprayberry then organized and led a volunteer night patrol to eliminate the intervening enemy bunkers and to relieve the surrounded element. The patrol soon began receiving enemy machinegun fire. Capt. Sprayberry quickly moved the men to protective cover and without regard for his own safety, crawled within close range of the bunker from which the fire was coming. He silenced the machinegun with a hand grenade. Identifying several l-man enemy positions nearby, Capt. Sprayberry immediately attacked them with the rest of his grenades. He crawled back for more grenades and when 2 grenades were thrown at his men from a position to the front, Capt. Sprayberry, without hesitation, again exposed himself and charged the enemy-held bunker killing its occupants with a grenade. Placing 2 men to cover his advance, he crawled forward and neutralized 3 more bunkers with grenades. Immediately thereafter, Capt. Sprayberry was surprised by an enemy soldier who charged from a concealed position. He killed the soldier with his pistol and with continuing disregard for the danger neutralized another enemy emplacement. Capt. Sprayberry then established radio contact with the isolated men, directing them toward his position. When the 2 elements made contact he organized his men into litter parties to evacuate the wounded. As the evacuation was nearing completion, he observed an enemy machinegun position which he silenced with a grenade. Capt. Sprayberry returned to the rescue party, established security, and moved to friendly lines with the wounded. This rescue operation, which lasted approximately 71/2 hours, saved the lives of many of his fellow soldiers. Capt. Sprayberry personally killed 12 enemy soldiers, eliminated 2 machineguns, and destroyed numerous enemy bunkers. Capt. Sprayberry’s indomitable spirit and gallant action at great personal risk to his life are in keeping with the highest traditions of the military service and reflect great credit upon himself, his unit, and the U.S. Army. These men as well as many others deserve our respect.